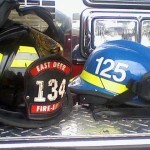 Like the East Deer Township Volunteer Fire Department on Facebook! 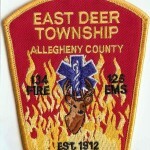 The East Deer Twp. 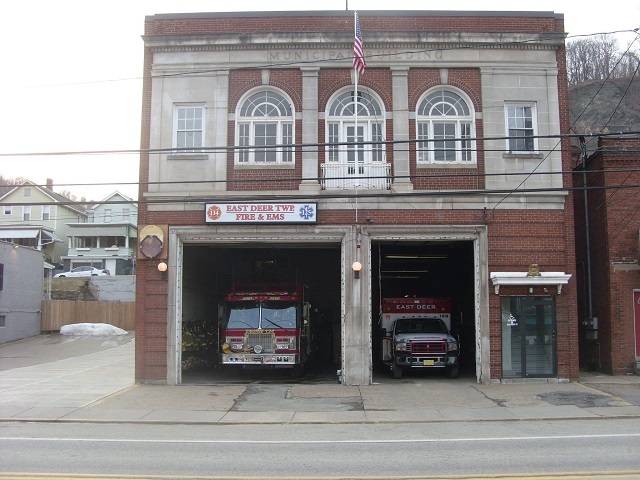 Volunteer Hose Company was organized in October of 1909 in Glassmere, PA with 56 original members, and an official charter was granted by the Commonwealth of Pennsylvania on December 17th. 1912. 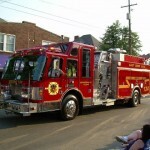 The original fire station (which still stands today) was located in the 700 block of Freeport Road, and the first piece of firefighting equipment was a hand-drawn fire pump and hose cart. 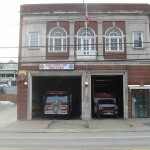 In the 1920’s, the fire department move into it’s current location at the East Deer Twp. Municipal Building in April of 1927. 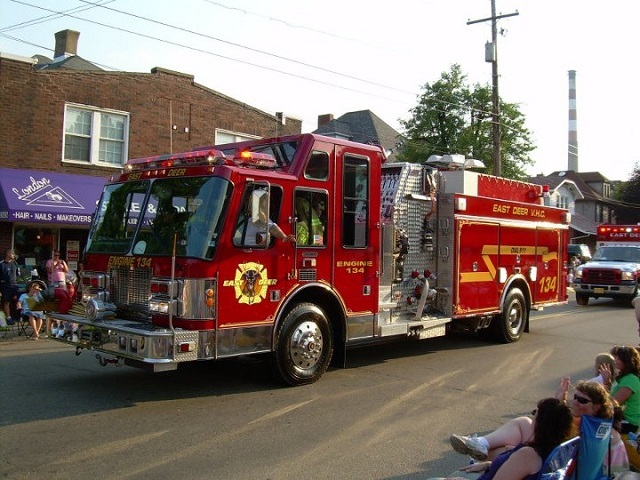 That same year, the department purchased its first new fire engine, an American La France pumper with 1200 feet of hose at a cost of $13,000. The 1930’s saw the start of the Ambulance Service, which is still in operation today. A used ambulance was bought for the sum of $425 and refurbished by the members in 1931. Six years later in 1937, a new ambulance was bought for a little over $2,000. 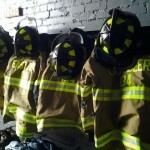 The Firefighter’s Relief Association was also chartered in 1931. 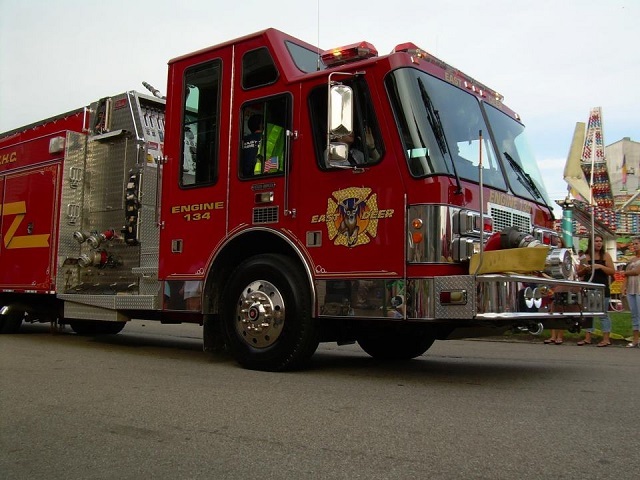 The 1940’s brought several new pieces of apparatus, including a 1941 Mack fire engine with 7 man cab, a 1946 Cadillac Ambulance, and a 1949 Dodge Squad Car. Because many members were serving in the Armed Forces during World War II, the age limit to join was lowered to 16 years old in an effort to gain more help. Throughout the 1950’s and 60’s, carnivals and various other fundraisers were held on a regular basis to benefit the department. The East Deer Ladies Auxiliary also provided significant support as well. 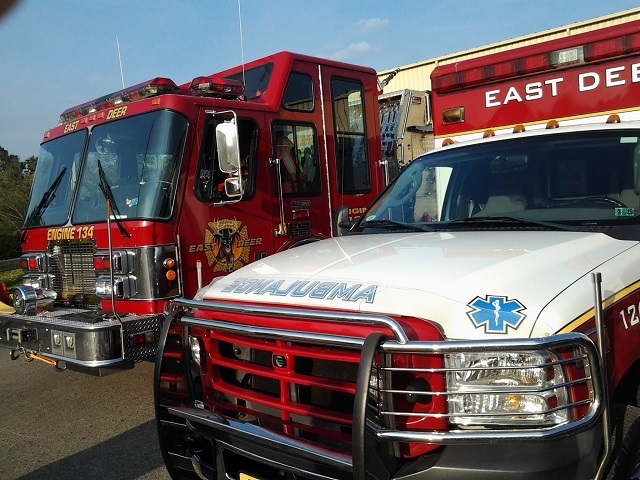 Another new ambulance and squad truck replaced the current ones in 1956 and 1965 respectively. One of the town’s biggest fires also occurred in the late 60’s at the Creighton Post Office. In 1972, a new Ford fire engine with 1250 feet of 2 1/2 inch hose and 600 feet of 1 1/2 inch hose was placed into service in April. In 1979, a Chevy Suburban was ordered to serve as a new squad truck. The 1980’s brought some new changes. 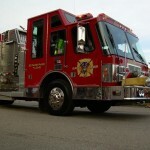 A tanker truck was fabricated by the members and placed into service in 1980, and was in use until the early 1990’s. A new Medtech ambulance was received in 1985, and dispatching services started to be utilized through the Tarentum Police desk. 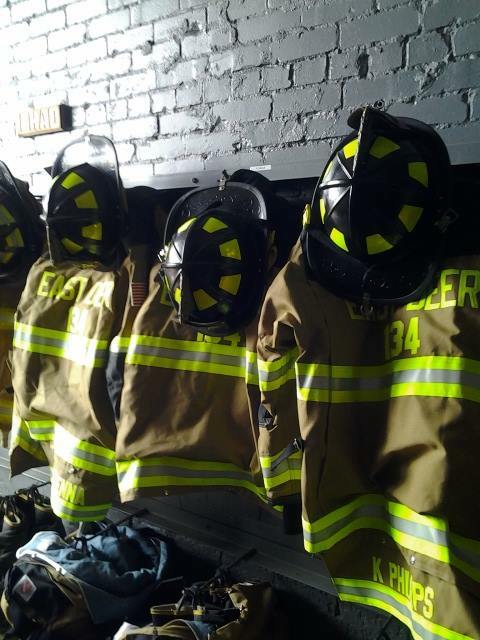 In 1989 the department became a charter member of AK PULSER through Allegheny Valley Hospital. The hospital-based parametric response unit enabled our ambulance to provide advanced care to any patient we transported. In 1995, a new Simon Duplex engine was placed into service and replaced the 23 year old Ford engine. 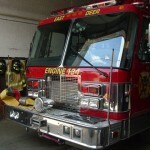 The engine still serves as the company’s main fire apparatus today. Also in 1995, paid EMT staff were implemented during the daylight hours to supplement the volunteers to handle ambulance calls. In 1997, a Chevy Medtech ambulance was placed into service. 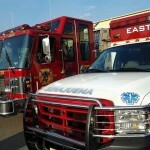 In 2003, paid EMTs were added to staff the ambulance around the clock in an effort to handle increasing call volume.  In January 2005, one of the most serious incidents in the town and department history occurred…a Norfolk Southern train carrying Hydrogen Fluoride derailed near the 9th Street Bridge, and caused evacuations for nearly three days. 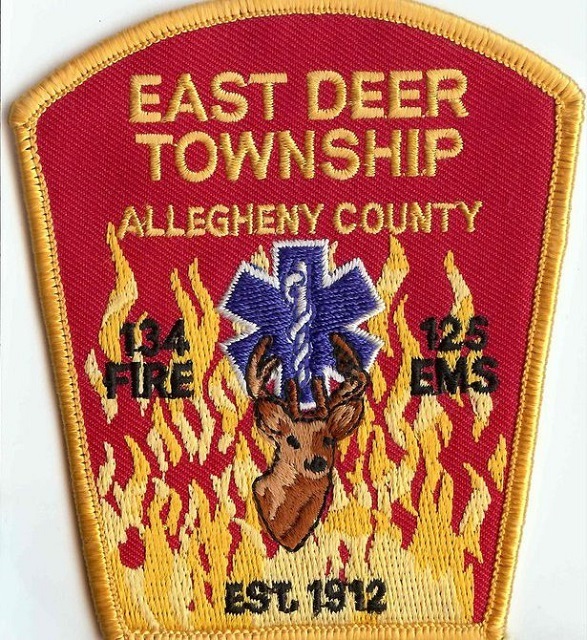 In following with many other communities in Allegheny County, dispatch services for the entire Allegheny Valley were transferred to the County 911 Center in February 2007. That same year, a new Ford Ambulance was put into service. One year later, in 2008, a Ford Utility pickup truck was received and replaced the Chevy Suburban squad truck. 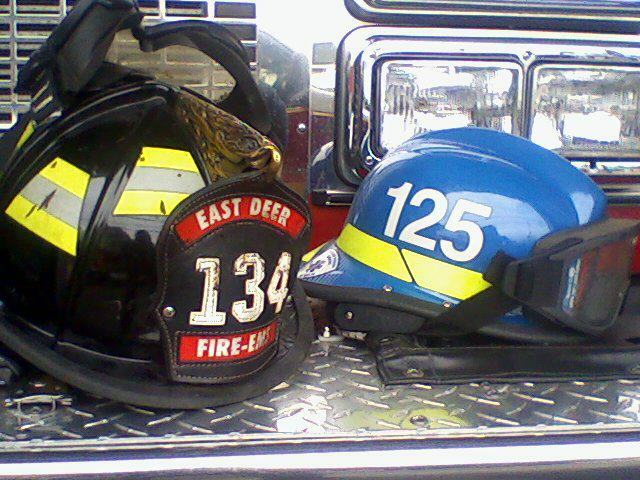 In 2012, the department celebrated its 100 year anniversary of providing services to the residents of East Deer in December. 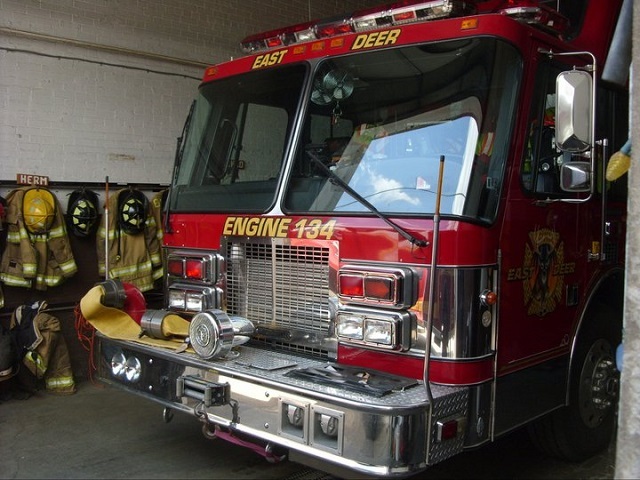 Today, the East Deer Volunteer Hose Company continues to proudly serve the residents of East Deer Township and surrounding communities through mutual aid, and look forward to many years of continued service. 1978 – 1980: Jack Bailie Sr.
1988 – 1990: Ed Savka Jr.
1992 – 1993: Jack Bailie Jr.
1999 – 2001: Jack Bailie Jr.
2008 – present: Jack Baile Jr.